Inkin' It Up With Kendra! 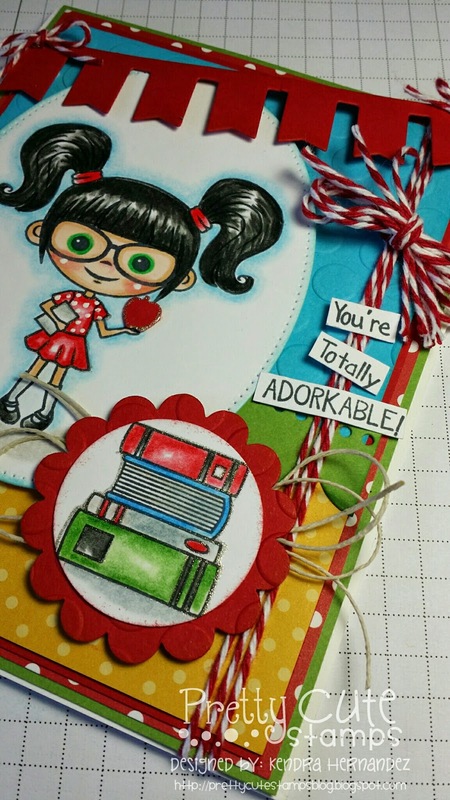 : Pretty Cute Stamps August Release Sneak Peek! Without further adieu.....here's a design I created using "Adorkable"! Can I say how much I love this little girl with the glasses?! Cutie Patootie!! I wear glasses (only at night lol) and my hubby says this image reminds him of me when I have mine on....what? lol This color combo is one of my very favorites and I think works really well here! 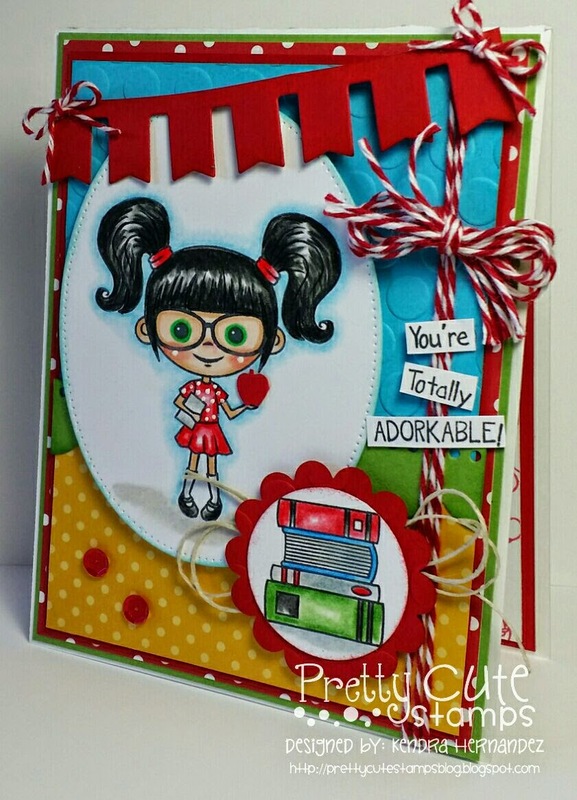 Join us for the August Release and Design Team Blog Hop on the Pretty Cute Stamps Blog this Wednesday, August 20th for some wonderful crafty goodness! Also, the newest releases will be on sale for the first week! Have a crafty day and I'll see you soon! So darling! Great, fun colors!